" We want to produce great figures and artist in Indonesia such as, Benyamin Sueb, Ismail Marzuki, Ellya Khadam until Haji Bokir,"
Jakarta Tourism and Culture Agency makes the cultural arts training center (PPSB) as one of the mainstays for preserving cultural. It will be realized by holding a routine training, like dance, music and various other arts, which are Jakarta's local wisdom entity. 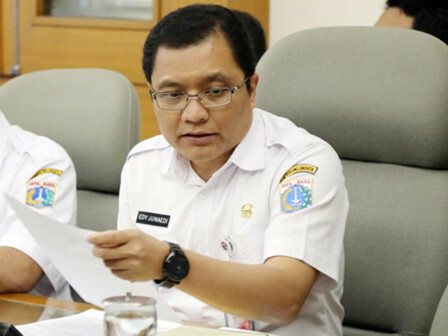 Jakarta Tourism and Culture Agency Head, Edy Junaedi disclosed that it is hoped able to produce figures and artists who are able to raise the image and the name of Betawi and Jakarta. "We want to produce great figures and artist in Indonesia such as, Benyamin Sueb, Ismail Marzuki, Ellya Khadam until Haji Bokir," he expressed, Wednesday (3/27). To achieve it, the city will keep paying more attention to quantity and quality of the training center and his side is optimistic that each trainee can continue to hone and apply the capabilities possessed. "We'll fight for links and matches, so we don't want to despair up after training. I've been cooperating with stakeholders to give room and performance opportunity for the trainees," he stated.